Can you please help us to raise the necessary funds to officially reopen the Dyatlov case in Russia. The Dyatlov Foundation has raised one third of what we need and we need another £1,600 to pay the legal fees and taxes involved. A loophole has been found in the regulations concerning reopening closed cases and with the aid of the descendants of Rustem Slobodin and Yura Doroshenko , the foundation will be working with highly experienced and respected Kemerovo prosecutor Leonid Georgievich Proshkin. Leonid Georgievich is well acquainted with the Russian Prosecutor General and the Chairman of the Investigative Committee. The path that will be taken to reopen the case is the rights of the victims to a comprehensive and objective investigation of the case for which there is no legal obstacle. If you can spare anything, even the price of a drink, it will help us to get this case reopened and properly investigated this time, we hope with a definitive answer as to what happened to the nine members of the Dyatlov Group and get justice for them. 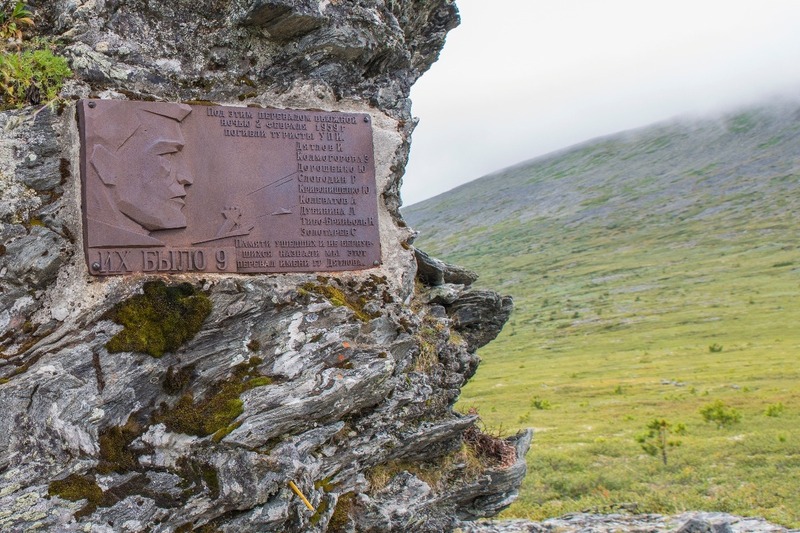 We have a deadline to meet of August 1st this year in order for the investigation to be reopened, investigated and again we hope to have the results ready for the Dyatlov Foundation Conference in Ekaterinburg on the 60th anniversary of their deaths in February 2019. We are extremely grateful to anyone who can help - Thank You. I AM VERY PLEASED TO SAY THAT THE PROSECUTOR GENERAL OF THE RUSSIAN FEDERATION HAS NOW OFFICIALLY AUTHORISED THE REOPENING OF THE DYATLOV CASE. ON BEHALF OF YURY KUNTSEVICH AT THE DYATLOV FOUNDATION AND LEONID PROSHKIN WE WOULD LIKE TO THANK EVERYONE WHO HAS HELPED TO ACHIEVE THIS. I HAVE BEEN SENT TWO OFFICIAL LETTERS RELATING TO THE CASE AND I HAVE BEEN ASKED BY THE FOUNDATION TO MAKE THEM AVAILABLE ONLY TO PEOPLE WHO HAVE CONTRIBUTED TO THE REOPENING OF THE CASE. I HAVE BEEN ASKED THAT THESE LETTERS BE KEPT CONFIDENTIAL BY YOU AND NOT GIVE COPIES TO ANYONE WHEN I SEND THEM. I AM HAVING THEM TRANSLATED AT THE MOMENT. CAN YOU PLEASE SEND ME YOUR INDIVIDUAL E MAIL ADDRESSES TO ME (ADDRESS IS ON MY DYATLOV WEBSITE TONIGHT) SO I CAN FORWARD THEM TO YOU WHEN THEY ARE TRANSLATED. TODAY IS THE 60th ANNIVERSARY OF THEIR DEATHS AND AT THE VERY LEAST THIS IS AN EFFORT TO NOT ONLY REMEMBER THEM BUT ALSO TO TRY AND GET SOME SORT OF JUSTICE AND FIND OUT HOW THEY REALLY DIED. THANK YOU ALL AGAIN AND I THINK EVERYONE WILL AGREE THIS IS A MOMENTOUS DAY. The investigation did not establish the presence of other people in the area that height on 1079 on 1st or 2nd February 1959, except for the Dyatlov’s group. According to the ‘Report for the Results of the Death Investigation of the Sverdlovsk Tourists’ dated 23rd March 1959 which was forwarded to the Central Committee of the CPSU, “it is clear from the diaries that the weather was gradually getting worse during those days - the wind increased and the temperature dropped to -25°. According to the Ivdel weather station the weather in the mountains was -30-35°С and the wind reached 25-35m/s the night of 1st - 2nd February”. The study of the case materials revealed that the most likely reason for the death of the tourists could be a confluence of adverse circumstances and the violation of safety rules in difficult conditions of mountainous terrain (temperatures ranging from -30 to -35°C, a snowstorm with a wind speed of 25-35 m/sec., darkness and the location of the tent on a steep slope). Panic among the people could have occurred due to an avalanche and snow falling on the tent. The death of all nine people occurred from frostbite and injuries caused by falling from height. There is no data supporting the presence of man-made factors associated with the death of the tourists in the case. The case materials indicate that the death of the people from an attack by unknown persons, animals or conflicts within the group were ruled out. Given the above, there are no grounds for resuming the preliminary investigation. The decision to terminate the criminal case dated 28th May 1959 on the grounds of Article 4 Part 5 of the RSFSR Criminal Procedure Code 1923 (ld (??) 384 - 387) was made by the Prosecutor L.N. Ivanov in coordination with the Deputy Head of the Investigative Department of the Regional Prosecutor’s Office, EF Okishev and approved by the Prosecutor for Sverdlovsk Region? N.I. Klinov. Considering that the decision to terminate the criminal case was made by the prosecuting authorities, and the criminal case was not transferred to the Investigative Committee of the Russian Federation, the above decision can only be overruled by the prosecutor or the court in accordance with Articles 37 and 214 of the Criminal Procedure Code of the Russian Federation. Your complaints dated 21st November 2014 and 18th February 2015 were not officially registered or considered by the Investigation Committee of the Russian Federation.